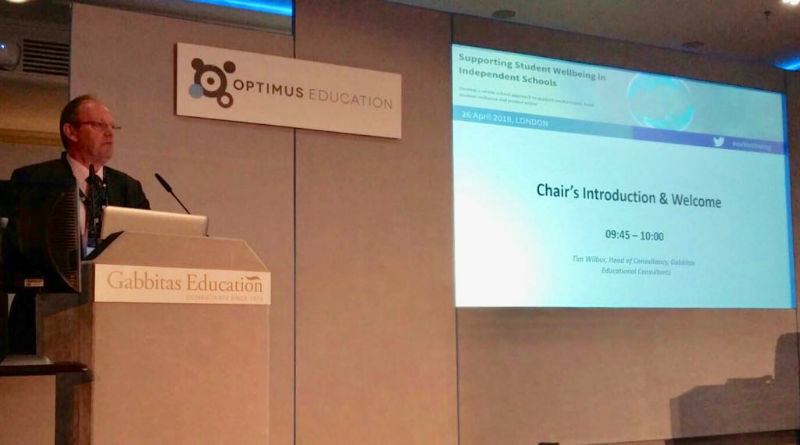 At the end of April 2018, Optimus Education in partnership with Gabbitas Education, held an event dedicated to supporting student wellbeing in independent schools. 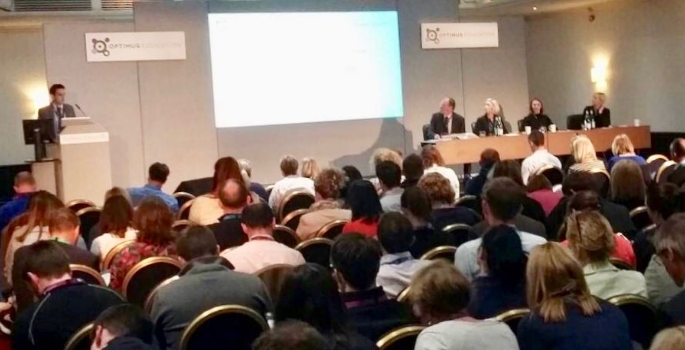 With a turnout of around 200 delegates, the event proved to be well timed. Many of the attendees were heads of schools and dedicated professionals in charge of wellbeing in those schools. This indicates that schools in our sector need no introduction to the topic and are already trying to address the mental care for students, or more precisely nurture students into healthy adults. The question: “Do you have a dedicated professional responsible for the wellbeing of children?” received a positive response with all. From PSHE departments to special workshops for parents, one cannot accuse schools of not being proactive. “Are parents asking more about the mental wellbeing of their children?” received a mix of “yes” and “no” replies. This is due to parents primarily asking about academic performance and behaviour, and only asking about mental wellbeing after the fact, when the problem has already escalated. Parents continue to put emphasis on outcome and performance, which in itself can often contribute to the development of anxieties and potential mental disorders of the child. The statistics outlined by Dr Lucy Foulkes were revealing: “Many adolescents go 10 years from the first signs of mental disorder to receiving the actual treatment”, “75% of all mental illness starts before the age of 24” and “50% before the age of 18”, which highlights school students as most at risk. Schools try to address the wellbeing factor in various ways: from extra resource allocation to PSHE, from workshops for parents to encouraging extracurricular activities for students that develop their resilience and social skills, such as CCF, D of E, mindfulness education and student listening programmes. But how effective are these and how do you measure their impact? Unfortunately it was agreed that it’s too difficult to evaluate the effectiveness of this support especially given there are so many factors outside the school which contribute to an individual’s wellbeing. Advice from Matthew Jamieson, as he described the lessons learnt from military experience and values he tries to install into students at Sherborne School, can as easily be applied to schools themselves. “Take responsibility,” he advised, meaning schools should not solely wait for government, rely on wellbeing consultants and other third parties to help implement successful wellbeing. “Progress is not linear,” meaning schools should not expect quick success no matter what criteria they use, instead expect errors and mistakes to learn from. “Just keep moving forward,” as there is no guaranteed effective path to protecting the wellbeing of children, but it does not mean you stop trying or wait till someone else finds one. Schools themselves as entities should aim to be resilient or better yet, as Tim Wilbur points out, be anti-fragile. They need to look beyond survival in supporting young people’s mental wellbeing. From the event held in April, it is clear many schools are already anti-fragile while others are only catching up in order to ‘survive’.